During anti-bullying week, children in year 3 have been discussing how we are all different, but all equal. 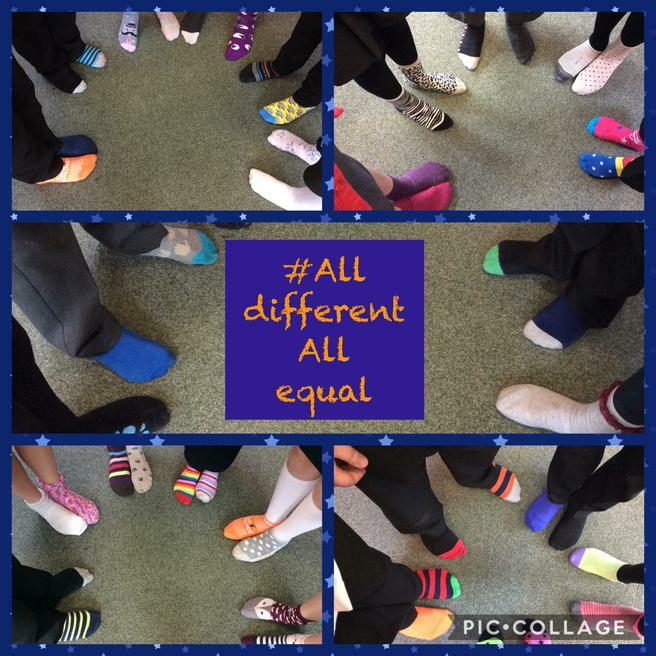 To represent this idea, children kicked started the week off by wearing odd socks to school. Although children found this fun, they were still able to understood the importance of it and were able to express the importance of treating everybody equally. 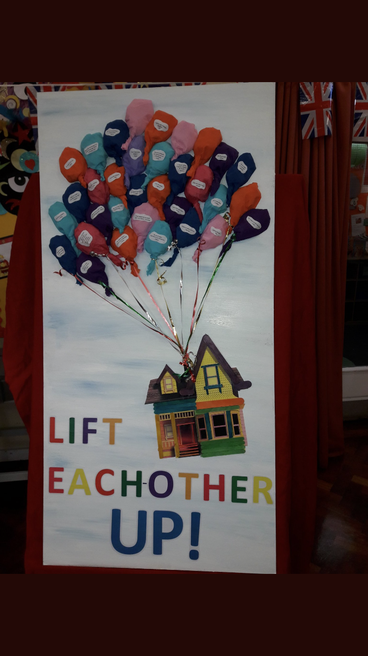 Throughout the week, we also made a piece of artwork which was inspired by the movie 'Up'. Each child made their own balloon and wrote an inspirational quote related to our anti-bullying theme. One of the quotes that really stood out was 'no matter how dark bullying gets, remember that light will always shine through'.